Birds of Prey still Masters of the Air? In the race for air supremacy we have reach the time where it is now drone versus eagle or rotor versus raptor. 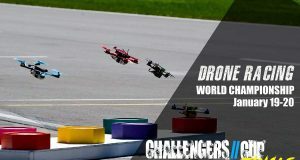 Guard From Above is a Netherlands based startup that has trained eagles to capture any recreational sized drone right out of the air and rendering it useless. 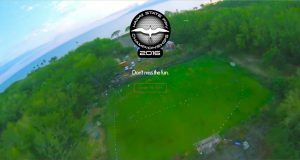 Numerous news outlets have run stories on the drone catching eagle. Guard From Above is the World’s first company specialized in training birds of prey to intercept hostile drones. They are situated at The Hague Security Delta Campus in The Hague, The Netherlands. 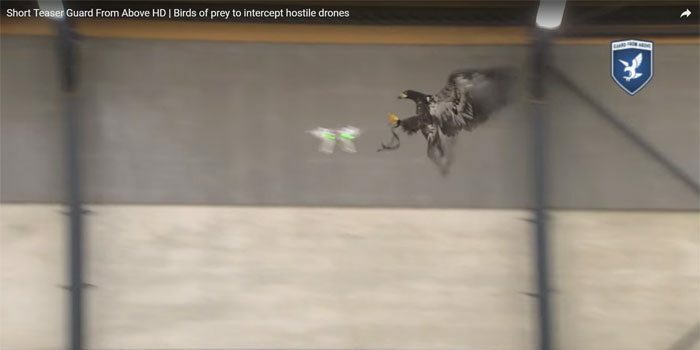 Mission: Using birds of prey to intercept hostile drones. 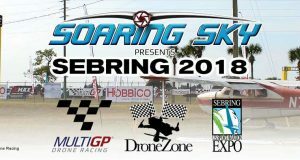 Vision: To make our clients airspace Drone-safe. A low-tech Solution for a High Tech Problem. Short promotional video from Guard From Above and their drone interceptor raptor eagle. Just to reiterate this particular Drone versus Eagle defense technique is only being proposed as to be applicable with smaller recreational drones. Not larger more powerful commercial use drones. Whether this makes commercial and social sense is up to the market place and society. It seems to me a rather niche market for this solution at best. I do think there is a real problem of how to defend against unauthorized drones in certain air space that we increasingly face now and will in the future. Whether this is a workable solution or not we will know in the fullness of time. It does demonstrate the wide range of thinking that drone technology has sparked and that can’t be all bad.